Time called to order: 2:07 p.m.
Approval of Agenda: Paul Sindelar moved to approve, Bernie Oliver seconded, unanimous approval. Approval of November 15, 2010 Minutes: On second page under the Dean’s Report, it should be the “UF Center for Excellence in Early Childhood Studies”; Editorial comments will be provided by Paul Sindelar to Twyla Mancil. Paul Sindelar motioned to approve, James Algina seconded, unanimous approval. Related Action: Twyla L. Mancil will make the above changes and then submit minutes to John Donaldson for uploading to the FPC website. deal with the larger questions of how money is allocated back to the Schools and what kind of model is used. Discussion ensued regarding how much of the $775,000 for the summer is available for Summer A this year. It was indicated that about $385,000 would be available, but that number includes money for all three Directors and Associate Directors and payment for faculty who work on dissertation and supervise committees. The projected numbers for going into the summer was about $50,000-$60,000 for faculty involvement and administrative assignments. Tina Smith-Bonahue briefly introduced BAC reporters, Nancy Waldron (BAC Co-Chair) and Naomi Castillo, as well as the present purpose for reviewing the BAC proposal. The BAC proposal was submitted by Tina Smith-Bonahue to FPC members on Friday, January 7, 2011 via email. The BAC has been working on this proposal for several months, though the information necessary to play out all possible scenarios has not been readily available and are still in flux. The purpose in talking about the proposal at the present meeting is not to vote on it, but to provide opportunities for questions and for the BAC to possibly make adjustments. However, a vote will be necessary at the February meeting. Tina Smith-Bonahue opened the floor for discussion. Discussion ensued regarding faculty assignments and Summer compensation. The general policy is 100% is the maximum effort anyone can have. The general preference has been for faculty to decide how their time is distributed. The understanding is that those decisions have been made at the School level with the School Directors in terms of specific assignments. If you are 100% effort on a grant, you cannot take on additional assignments because you have to show 100% to that grant auditor. Regarding the number of courses faculty may teach during the summer, it is an FTE-based decision. So, for example, two courses in Summer C would be about .67 FTE, so that leaves another 33% and you could potentially teach another course in the summer. The present proposal from the BAC reflects the BAC’s understanding of past practices. A lot of weight was placed on what is in the collective bargaining agreement. So in looking at that and talking with the School Directors, it seems generally the same. Again, it was the BAC’s understanding that individual faculty loads and assignments and how they distribute their time in the summer has been a School-based decision with the Directors, which the BAC reinforces should continue to be done because they best know the needs of the program, the instructional needs, and the faculty members involved. There is some sense that individuals have been paid differently in the past for courses based on specifics to a course (e.g., enrollment being very low and going ahead with offering the course or enrollment being high and getting extra support at times through a GA), but that again has been negotiated through the School Directors. Information regarding the number of courses supported with the previous budget, as well as the amount of the previous budget was not readily available. Members indicated that not having that information makes the policy more abstract. The BAC members indicated that was a challenge throughout the process as the data has not been accessible. Previously, decisions were different about how people assigned to instruction were entered into the system. Therefore, the present database doesn’t answer the present questions, which are many of the questions the BAC continued to ask. From the BAC perspective, the Summer was regarding as being really different from now on. The only change the BAC considered was a cap on highly paid professors. Other Colleges do have caps, such as $12, 200 for the summer for a course, and they do that based on percentile ranking of professor’s salaries. The BAC looked at this as anticipating policies since financial circumstances change all the time. Clarification was given on the proposal statement, “Faculty members who have not been assigned a summer course shall not be required to undertake committee work.” It is the BAC’s understanding that statement refers to any other assigned service or committee work besides supervisory committee work since the paragraph before refers to supervisory committee work. Such a differentiation is also in the bargaining agreement. If assigned a summer course, it is the BAC’s understanding that other committee work would be negotiated at the School level. The present proposal also indicates that a professor may accept less than there typical salary. It was the BAC’s understanding from talking with Directors that there have been individual negotiations with faculty based on other factors in the past, such as very low enrollment. However, that is the only thing of which the BAC was made aware and nothing was consistent across the board. Regarding Directors using a low budget as a condition to negotiate individually, the BAC was informed by Directors that they have informed individuals at time that they did not have enough summer money for higher-paid faculty to teach courses if they had a choice for someone who was paid less. The BAC policy does not include language prohibiting the Director from negotiating with people to make a budget. The policy does include a statement regarding the number of credit hours (i.e., “for each 3 credit hour course assigned during the summer, the faculty member shall receive 12.5%”). Concerns regarding the flexibility for Directors in mounting programs and for individuals to participate were noted. decide to take such an assignment during the Summer for pay or whether they take it on to support students. Clarification was also offered regarding dissertation hours. Faculty have the right to refuse to take on such assignments. In the past, students would sign up for dissertation hours with their chair and then the hours and work would be distributed out. The new rule is that if the student signs up for dissertation hours it must be with the individual chair. There is no more collective. So if there is no funding to pay you and if you decide you do not want to work with your doctoral students during the summer, your doctoral students will be unable to register for dissertation hours because they cannot be assigned to anybody else. Further discussion ensued regarding the discussions the BAC had about balancing the need for such a policy and the need to allow for flexibility for negotiations among Directors and faculty. The BAC members indicated that faculty did not want to have different types of compensation. There were proposed ideas that maybe there could be a flat rate and that was not something the committee supported, which is why the present document came to be. The need for further language in the proposal regarding faculty accepting lower salaries was also discussed. Concerns over whether such a statement would lead to negotiations that would result in compensation at the bottom level were discussed. It was indicated that the BAC discussed the need for a minimal compensation based on a standard course and generally consistent with the total salary of the faculty member for the academic year. This led to the BAC discussions about a cap for the total year. 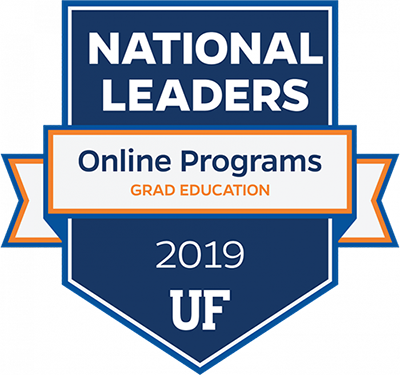 Other Colleges at UF have caps, but the caps recognize different intake or salary, especially regarding high-stake members in the College. Such caps are typically graduated. The BAC did not observe any use of a flat-dollar amount. Questions regarding language in the collective bargaining agreement about establishing an equal opportunity to teach during the summer so as to preclude such a negotiation were raised. However, it was stated that there is no individual faculty right to teach during the summer and no inherent claim that summer teaching be offered. 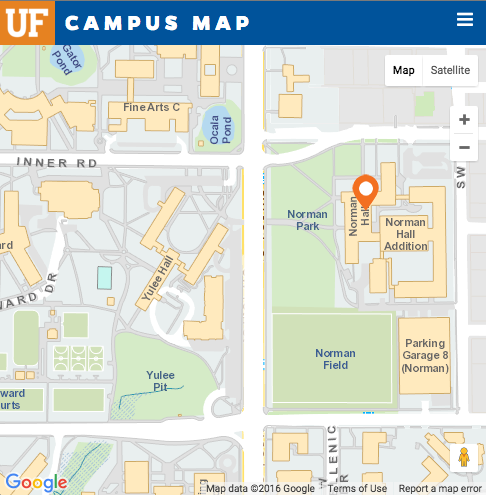 In response for elaboration on the use of flat or percentage rates by other Colleges at UF, the BAC members indicated that no College was using a flat rate. However, a cap was used by a couple of Colleges. CLASS, for instance, uses a cap at the 75th percentile of full professors. They use 12.5% as the base for a single course and would take the 75th percentile of a full professor’s salary in the College that year to calculate the cap. As such, they projected the cap for this year to be $12, 200 for a single course. There are some Colleges, like the Business College, that make adjustments based on class size or enrollment. However, the BAC did not notice any College that was not using the 12.5% as a foundation. Regarding issues raised by faculty members about summer employment, the BAC members indicated that there is a sentiment that faculty wanted to be reimbursed in a similar way as they had been in the past and there was not strong support for a cap. In addition, faculty indicated they want to know if it is comparable with the budget so they may plan ahead. be helpful for the immediacy of the summer, but for the future that really is not an answer because the cost/credit hours should be a part of the model that is used for the whole year. This means looking at what is necessary and needed in the Summer in relation to the whole academic year. Presently, the BAC is looking at a certain amount of money and seeing if it is self-sustaining. That is permissible in the short run, but is also one of the reasons the BAC moved to a more general policy of what it thought the foundation for faculty compensation should be. The Dean elaborated further on this issue. The College runs on a fiscal year, which includes a three semester period. So if $17 million is needed to run the College and the Fall and Spring only generate $15 million, $2 million must be generated in the Summer through teaching to have sufficient funds to run the College. In addition, it is not just about paying expenses; investment must also be considered. It’s not just making our expenses; we also have the whole issue of investment. Any money left over after covering expenses would be used for investment in new people, which would need to occur year after year. Overall, the ultimate responsibility for faculty is to ensure the maintenance of the academic integrity of their programs and be aware and recognize the fiscal reality. It is concerning that, in order to be revenue-generating, the cheapest people may be hired to teach courses. However, it is an open question whether we can maintain the academic quality of our programs through such practices. As such, there may be a need for revenue-generating activities that might be separate from the degree programs that could be offered in the summer or other ways to generate revenue to protect the academic integrity of our programs. Paul Sindelar indicated that everyone received a copy of Jody Gentry’s report on December 23rd, 2010.
distribute it to everybody. So that related to the key accomplisments, which was the first part of the discussion, lessons learned, and the SWAT analysis. So that is the current status. You are probably all on a group and busy, I hope. I’d be happy to answer questions. Discussion ensued regarding the completion of the strategic planning work. It was indicated that the goal is for the strategic plan to be in place this year, but for it to continue to be a part of the College’s work. Ms. Gentry will be working with the College through May 2011. It was also indicated that there is a need to keep the momentum and work moving forward as it relates to the concept papers and group meetings. It was suggested that the Long Range Planning Committee (LRPC) support such efforts. Tina Smith-Bonahue opened the discussion up for ideas for ways in which existing infrastructure could be used to get relevant work done. For instance, the BAC is heavily represented in the economics group concept paper work. The LRPC representative indicated that the LRPC seemed unsure about what it should be doing and that involving the LRPC in this way could give them a very focused task. It was suggested that the LRPC could put in place some procedures to ensure that activity is ongoing and that people are meeting to work on concept papers. It was also suggested that the LRPC could assist with helping groups review the report regarding suggestions for writing concept papers. Further discussion related to how information will be drawn from the concept papers to be used in the final plan. It was indicated that Ms. Gentry would be better suited to answer such questions about the process. However, it was also indicated that everybody will receive every concept paper and that every concept paper will be used in what Ms. Gentry refers to as the visioning and goals statement. Supported recommendations from each concept paper will be identified. Comments regarding the importance of this work and hopes that it will fold into existing committees or create new committees were also made. The idea is that this planning work is not going to be done and then not used. It was suggested that conversations need to take place regarding looking forward beyond May and how this work can be incorporated in future committee efforts. Cirecie West-Olatunji (SHDOSE) will check with the Chair of LRPC to discuss its role in helping monitor activity on concept papers. two undergraduate awards—one to an Early Childhood student and one to an Elementary ProTeach student (those are the two programs that receive bachelors degrees from us). Those two awards will be determined by the programs to simplify things. The sentiment at the DAC meeting was that we didn’t want to give only one graduate award and we didn’t want to divide the awards among the three Schools. As such, it made sense to continue giving awards for Excellence in Research, Excellence in Teaching, and Excellence in Leadership. But if we do give three College-wide awards, then we need a College-wide committee to determine who gets those awards. In the past, the Lectures and Awards Committee has always only addressed faculty awards, but I have never been on that committee so I am open to input from anyone who knows differently. But this committee did seem like the most relevant standing committee to consider awards for graduate students. Discussion ensued regarding the role of the LAC in previous years. It was indicated that the LAC was asked to review some of the student awards last year at both the graduate and undergraduate level and that it seemed like appropriate work for the committee. As the LAC representative, James Algina indicated that he would like to go back and find out from John Kranzler how many Spring awards already exist that the committee must consider so as to determine the existing workload of the committee. In addition, it was indicated that there exist problems in generating nominations for the student awards. As such, it was suggested that as part of a review of committee responsibilities the LAC take on the responsibility of encouraging nominations for faculty and student awards. James Algina will check with John Kranzler regarding the number of Spring awards the LAC is presently responsible for considering. Stephen Pape indicated that he has heard from two committees regarding the review of the Constitution. Stephen urged the FPC members to encourage their committees to look at the Constitution and provide feedback on any differences between what is in the language and what is being practiced. After such information is gathered, it will come to FPC to then develop the charge for the committees. changes frequently. The BAC put out proposed guidelines for the summer compensation model and yet things change on a regular basis so we would like to be able to have those data pass through us so we can either modify or decide if it is relevant before the proposals come to FPC. Another issue that came up is in regards to the budget allocation model. The BAC is somewhat frustrated over the fact we have spent a lot of time trying to understand the budget and still don’t feel completely comfortable and feel like the Dean’s Office and the Directors are much more on top of the economic situation, maybe even more so than the BAC. We think it is almost impossible to understand the economic budget situation well enough to generate a plan. We are thinking that it may be that our group may be serving the faculty and College at large better if we respond to proposals from the Dean’s Office, Directors, and maybe others. So it is something that might need to be worked out. For the BAC to generate a budget allocation model from the bottom-up is looking more and more difficult. This is a significant issue. There was some discussion even today among the faculty members about letting go of the ground-up power that we have at this point. Should we be responsive to plans that come to us or should we actually be generating? The majority seem much more wiling to respond to plans generated perhaps from the Dean’s Office or Directors rather than trying to generate a budget allocation model from nothing. One of the BAC’s major tasks for the rest of the semester will be to try to integrate the work of the BAC with the economic concept paper and the COE strategic planning effort. So we are trying to be as efficient as possible. In what turned out to be a very popular move, the CCC did not meet in December. Tom Dana and Paul Sindelar are meeting on January 19th to set the agenda for the Monday, January 24th meeting. Anyone who is submitting has until January 19th to get it in to the CCC for it to be considered for this month. The CCC has not responded to Stephen Pape’s request regarding the review of the Constitution, though the CCC recognizes it has a lot to do because the Constitution was written before the electronic submission process. The CCC now has to reconcile the language in the Constitution with the actual process used in submitting proposals. That will be on the January 24th agenda. Bernie Oliver indicated he was not at the last DC meeting in December but that two things cam out of that meeting, one being a film series and the other included work on a survey of diversity in the College. Bernie was not aware if they had completed the survey, but indicated the survey would be submitted to students and faculty when completed. Regarding the film series, all faculty and students are invited to attend. The FAC is meeting tomorrow. The FAC have one sabbatical application to review and will continue and hopefully finalize the pre-tenure policy that will then be brought to the FPC. The FAC will also continue working on the clinical professor promotion guidelines. The LSAC finished the doctoral mentoring review. Two people went forward. It is assumed that they have been forwarded from John’s office to the College and probably are over at the Graduate School now. Stephen was not at the last meeting because of a conflict of interest regarding a research grant. Stephen plans to follow up on that meeting. Stephen also indicated that proposals have been reviewed and several have been moved forward. The meeting adjourned at: 3:28 p.m.